Age-related changes are some of the most common causes of disorders of sensory systems. The most common age-related change in hearing is elevation of the hearing threshold beginning at the highest audible frequencies, progressing toward lower frequencies while deepening. 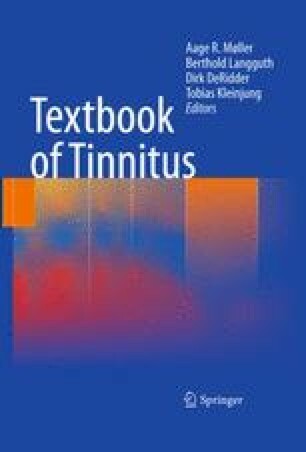 Age-related changes in hearing are often, but not always, accompanied by tinnitus. Change in processing of information may also occur, causing deterioration of speech comprehension. Animal studies have shown that the progression of age-related changes in hearing might be affected (slowed down) by exposure to sound (“enhanced sound environment”) indicating expression of neural plasticity plays a role in some age-related changes of sensory functions. The large individual variability in age-related changes in hearing has many causes, such as exposure to loud sounds, environmental factors, genetics, different expression of genes (epigenetics), and unknown factors.